If you’ve noticed some lagging when it comes to your 4Runner’s brake response, it might be time to swap out the brake pads. There’s a ton to choose from, but the three below are among the more popular names among truck drivers. If your brakes aren’t performing as well as you feel they should, or you’re seeing some general dusting around the wheels, chances are it’s time to replace the truck’s brake pads. Swapping out old pads for new ones is one of the easiest and cost-effective habits any car owner can get into. It extends the lifetime of your vehicle, and also avoids costly repairs like installing new brakes and rotors due to excessive wear and tear. Now, there are a ton of brake pads on the market to choose from, but among them, the following three are the more popular brands for 4Runner drivers to go with. If there’s one thing that sticks out about the EBC Yellow Stuff brake pads, beyond the nifty design, is its price. So, addressing the obvious, the reason why these pads are so much more than others is because they’re specially designed for aggressive use; that is, they’re made to withstand high friction. So, while they might be a bit more apropos for high speed interstate driving, and towing, where there is a lot more mass being slowed, when it comes to a 4Runner, you’re going to wind up with an extremely high performing set of brake pads that will show very little wear over time. Reviewers of this pad brand report being very happy with the purchase for the sheer longevity with which it lasted. Little dust was reported, and the pads performed rather quietly. Recommended for its durability under aggressive use. If you’re in a pinch and need pads now, then you’d be best served to get yourself a Wagner Thermo-Quiets. Available locally at most auto parts store with same-day pick up, these are the safest brand to go with, and perform as expected; typically in the range of 50,000 to 70,000 miles of moderate, normal driving. 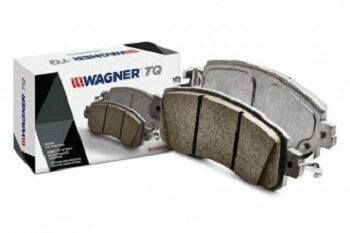 Drivers who’ve installed Wagner Thermo-Quiets say there’s little dust buildup around the brakes, and that the pads are true to their name, and are quiet, with no reports of squealing or other noises. Many reviewers also found the price to be one of the biggest reasons why they went with this brand. Recommended for its low price and little dust buildup. 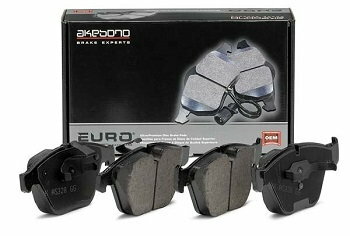 If you’re in a position to pay a bit more for a slightly higher quality brake pad, then Akebono’s Ceramic brake pads make for a good choice, too. This brand of pad stands just at the threshold of being a normal brake pad for every day driving, and being one specially designed to withstand high friction scenarios. Not overly priced at $65, this line of brake pad is reported to be virtually dust/noise-free, and an exceptional performer for both every day driving as well as off-roading. Recommended for its dust and noise-free qualities.